"224/365 - Dear Flickr, I'm Sick" by Courtney Carmody, , used with permission under CC BY 2.0. Source. Yours truly performing acupuncture on a patient. 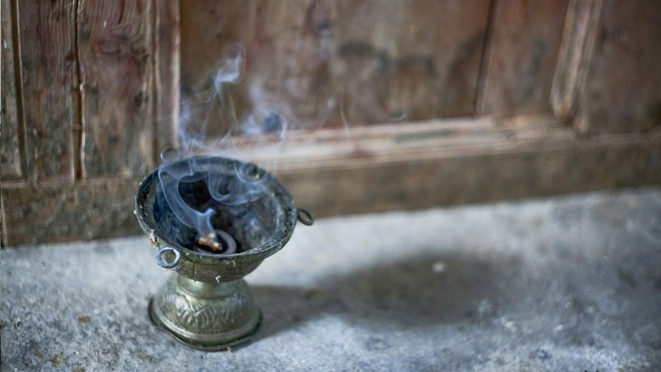 "Incense" (cropped) by Lefteris Heretakis, used with permission under CC BY 2.0. Source. "Girl Disappearing" by Francesca Dioni, used with permission under CC BY 2.0. Source.